Aside from being incredibly easy on the eye, the lake-dotted landscape also lends itself to some pretty special outdoor adventures including hikes, cruises and water sports – making this a destination for all. Combine the thrills with good weather all year round and you’re onto a winner. All that’s left is to pick from our jaw-dropping villas in the Italian Lakes. Connecting the lakes themselves are some of Italy’s finest cities, including stylish Milan and romantic Verona. Saffron-infused risottos, fresh-from-the-net lake fish and cheese-topped polenta are the stars of menus everywhere from Michelin-starred eateries to humble trattorias. And the wine regions produce a wealth of crisp whites, hearty reds and a world-famous fizz. So, why visit the Italian Lakes? The real question is, why wouldn’t you? Tourist season on the lakes runs from Easter to October, but these beauty spots make for lovely viewing all year long. If you can pick any month to go, make it June or September; when the weather is hot, the water is warming up and the crowds are small. September is also harvest time, making it a great month to hit the wineries. Crowds peak in July and August when the cities and lake resorts are all seriously toasty. Italians living in the cities tend to take the majority of August as holiday, which can mean a number of restaurants and shops shut up shop for a few weeks. Visitor numbers drop off rapidly from November, and from then until March, the shores of the lakes become crowd-free, misty and snow-flecked. Airports: Most flights to the Italian Lakes touch down in Milan, where there is a pair of airports: Malpensa, which is 50 kilometres from the centre of town, or handy Linate, which is just seven kilometres away. Bergamo and Verona also receive flights from the UK. By train: You can reach the Italian Lakes via a scenic 11-hour train ride from the UK. Once you get there, all the key cities in the region can be easily reached on the rail network. By boat: Ferries cover the main lakes of the region: Maggiore, Como and Garda. Tickets for one-day unlimited travel are a popular option. By bus: Buses allow those without their own transport to access some (though not all) of the smaller towns beyond the shores of the lakes. By bike: The Italians in these parts are big on motorbikes and bicycles, so if you want to explore on two wheels, you’ll be in good company. Cycling is also a great way to explore remote, off-the-beaten-track corners. 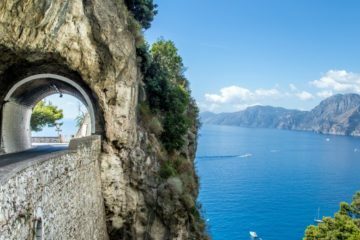 By car: Hiring a car is the best way to reach all the nooks and crannies of the Italian Lakes. The roads can get busy but are generally in good condition, and motorways stretch the full length of the region. Lake Como – Sail the calm waters of Italy’s prettiest lake. 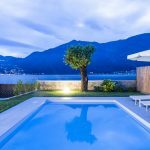 Lake Lugano – Split your time between the Swiss and Italian sides. Verona –See an opera at the iconic Roman arena in Romeo and Juliet’s city. Lake Garda – Try your hand at kitesurfing on the northern lake shores. Franciacorta – Quaff some of the finest bubbly in Italy on a tour of this prestigious wine region. Bergamo – Wander cobblestone streets and admire masterpieces of medieval architecture. Milan – Gaze up at the Duomo and marvel at da Vinci’s The Last Supper. Lake Maggiore – Hop between picturesque islands on one of Italy’s largest lakes. Everyone knows about La Scala, Milan’s jaw-dropping 18th-century opera house, but not everyone knows that you can take a peek behind the scenes. Sign up for an Ansaldo Workshop tour and you’ll see where the creative team puts together handcrafted stage sets and 1,000 new costumes every season. Tours take place twice a week and are led by the heads of each creative department. Off Lake Maggiore’s beaten track, you’ll find a number of incredibly well-preserved, centuries-old frescoes – but only if you know where to look. The Lombard church of Chiesa di Santa Maria Foris Portas isn’t much to look at from the outside, but step through the door and you’ll find frescoes that date back as far as the 7th century. The grey and white façade of the church of Basilica di San Giulio also conceals an exciting interior jam-packed with colourful frescoes. Maggiana’s Sali e Tabacchi restaurant in Lake Como has been namechecked by a number of must-eat guides and serves up lunch feasts of lake fish risotto. Finding it, however, can prove challenging. For this isn’t a restaurant as such, but rather a tucked-away dining room hidden within the same building as a post office and tobacco shop. Wine buffs looking to seek out the best little-known wines of the lakes should day-trip to the tiny wine producers around Bergamo and Brescia, such as Cellatica, Valcalepio and Botticino. Visit Lake Garda in early October and you’ll be bang on time for the area’s biggest annual celebration: the Bardolino Grape and Wine Festival. 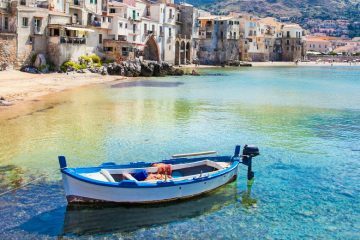 The five-day party celebrates the grape harvest with various wine stalls peddling their own vinos along the shoreline, alongside tasty titbits of the local cuisine like polenta and risotto. You can arm yourself with one of the special tasting glasses and make your way along the wine stalls, all against a backdrop of live music and fireworks. From the museums of Milan to the theme parks of Lake Garda, every corner of the Italian Lakes has a fix of family-friendly activities. Kids are well catered for throughout the region, with children warmly welcomed in restaurants and cut-price tickets available for youngsters at a number of museums and city attractions. The alpine landscape of the region provides near-endless opportunities for outdoor pursuits, whether tackling hilly cycle paths, canyoning along mountain streams or standup paddle boarding on crystal-clear waters. And when energy levels are flagging, you’ll find you’re never far from a gelato shop. 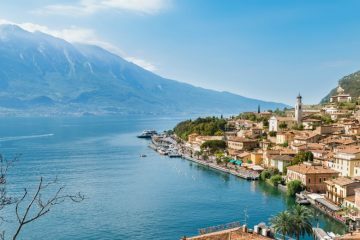 The Italian Lakes are no stranger to theme parks, with three along the shoreline of Peschiera in Lake Garda alone. They’re all on a fairly big scale and some include adjacent water parks and live shows, so there is plenty to entertain most ages. All that is left for you to do is choose which one to visit. For live action stunts, thrill-seeking rides and re-enactments of scenes from top action films, head to Movieland, an action-packed theme park that pays homage to the likes of Terminator and Rambo. A safari may not seem an obvious day out, but animals – especially the likes of lions and elephants – are a failsafe way to keep kids of all ages entertained. Plus, the zoos in these parts are usually pretty impressive. 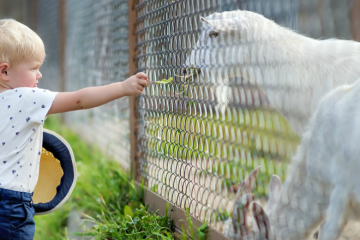 Conservation hub Parco Natura Viva is one of the best zoos in Europe, with a big drive-through safari and a total of more than 1,500 animals roaming its grounds. While sightseeing and scoffing pasta are worthy ways to spend an entire holiday in the Italian Lakes, there comes a time when most kids need to burn off some energy. Luckily, there are plenty of action-packed days out for youngsters of all ages, from paintballing-style action games to archery sessions. There is a full-on schedule of activities for kids at Jungle Raider Park, Civenna, with the main event being their huge network of rope courses that youngsters can scale and scramble on. 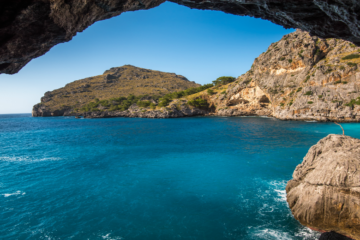 Mums and dads don’t have to miss out here: the whole family can sign up for some of the bigger adventures, including canyoning and spelunking. With some of the best wind conditions in Europe and lots of different water sports on offer, outdoorsy types will be in their element in Lake Garda. The Shaka Surf Center runs kids’ camps to teach youngsters how to windsurf on the calm lake water. For more kid-friendly holiday inspiration, read our blog post on the best family activities in the Italian Lakes. 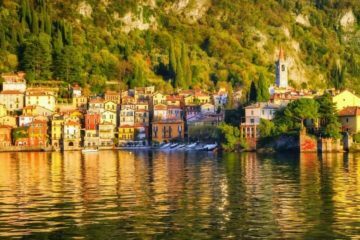 Sparkling waters in shades of blue and green, idyllic waters-edge houses and charming lakeside villages – the Italian Lakes look good from any angle. There are, however, certain ways to elevate your experience from a simple day of sightseeing to a full-on bucket list adventure. Guided walks with Hiking Como Lake don’t just showcase the waters of Lake Como, but the surrounding countryside too. And with knowledgeable guides who were born and bred in the area, you’ll get an insider’s insight into the region along the way. Book a private rental with Centro Nautico Lario and you’ll take to the waters of Lake Como as captain of your own boat. The easy-to-operate boats are perfect for sightseeing along the shoreline and stopping off for swims and lakeside lunches. Nowhere else in the world will you find a cable car quite like Funivia Malcesine Monte Baldo. It’s got revolving cabins so you can check out panoramic views of Lake Garda as you climb Mount Baldo to 1,800 metres above sea level. The Italian Lakes is a destination that specialises in water-themed days out. From taking a leisurely lake cruise to sailing your own boat, learning to kitesurf or canyoning on river rapids, the natural landscape is perfect for watery outdoor pursuits. But you don’t have to get wet if you don’t want to: hikes and bike rides through mountain valleys or countryside meadows are also yours for the taking. If you’d rather soak up the alpine scenery without breaking a sweat, you can tour the region by hire car or on the back of a motorbike, stopping off to picnic as you go. And if it’s the foodie appeal of the region that has you salivating for a holiday in the lakes, sign up for a tour of the olive oil farms or wineries scattered across the area, or simply schedule in plenty of long, leisurely lunches. Water sports fans are well catered for here, with the lakes’ reliable winds and calm waters making ideal platforms for a number of sports including kitesurfing and stand-up paddle boarding. SUPgarda’s friendly and experienced team of instructors offer stand-up paddleboarding classes for every level of ability, from masters of the sport to complete beginners. Italians love their motorbikes and enthusiasts will clock locals of all ages riding a mix of the latest bikes and vintage models around the lakes. If you want to join them, explore like a true Italian on the back of a classic bike. Sign up for a tour with Lake Como Motorbike and you can choose to ride your own bike, rent one of the company’s bikes or ride pillion with a guide. Cycling in the lakes is a good way to get up close to nature and cover a lot of ground in a short space of time. It’s also an excellent way to justify all those long lunches of wine and pasta. 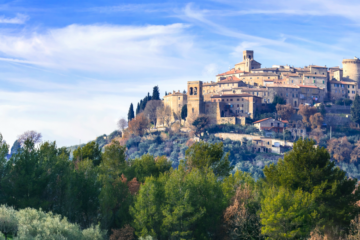 Cycling tours with IGarda go off the beaten track to hidden pockets of Lake Garda, where you’ll discover ancient villages, alpine scenery and panoramic mountain views. From big-name international producers to tiny family-run businesses, wineries abound in the Italian Lakes. If fizz is your tipple of choice, make tracks for the region of Franciacorta, which produces Italy’s answer to Champagne. If you love motorbikes but don’t fancy donning your leathers and riding one yourself, the next best thing is to explore the history and culture of the sport instead. Get up to speed on the influence motorbikes have had on Italy’s history at the Museum Moto Guzzi, a museum run by Europe’s oldest motorcycle manufacturer. Lake Garda is the most northerly spot in Europe for olive oil production and boasts a superb olive-growing micro climate. Some of the olive oil in the region is produced at the Paolo Bonomelli Boutique Olive Farm, where you can sign up for tastings of the oils made from the farm’s 4,000 olive trees. Get the full lowdown on the best group activities and attractions in the Italian Lakes. 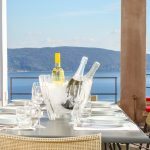 From restaurants, that sparkle with Michelin stars to old-fashioned trattorias dishing up big hearty plates of pork or risotto, foodie offerings in the Italian Lakes covers all tastes. While there are variations to the region’s staple dishes in different areas, you’ll find some elements of lake cuisine – including polenta, lake fish and lashings of risotto – just about everywhere. Local cheeses, such as gorgonzola and mascarpone, are also worth seeking out, wherever you stay. If a day of gelato eating leaves you too full for a leisurely multi-course Italian feast, you can dine out on a late-afternoon aperitif: a modern bar custom of serving a cold buffet with punters’ early evening glasses of wine or fizz. Speaking of the vino, the hills surrounding the lakes produce good local wines and some excellent internationally recognised labels, including Franciacorta. 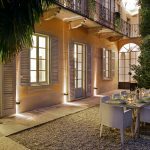 Double Michelin-starred chef Antonino Cannavacciuolo heads up the kitchen at Villa Crespi in Novara, an elegant and intimate restaurant where you can expect superb, immaculately presented Italian cooking. 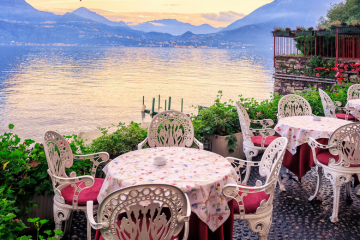 Looking out over the stunning blue-green waters of Lake Como, Crotto dei Pescatori is a charming spot that serves up dreamy lakeside views alongside classic Italian dishes. The Salice Blu in Bellagio has been going since the 1970s, but there’s nothing dated about its modern-day menu. A team of young, ambitious chefs pride themselves on serving familiar food but in ways you’ve never seen before. It’s not enough for the chefs at Il Cucchiaio di Legno to source their ingredients locally; they prefer to produce most of it themselves. The bread, jam, fruit liquors, honey and salami are all made fresh on-site. Some big and bold red wines are produced in this region, so don’t leave without trying a local Barolo or Amarone. Great local cheeses are easily found in the lakes. Look out for gorgonzola, mascarpone and stracchino. This part of Italy produces dozens of risotto rice varieties, so don’t fill up on pasta before you’ve tried a porcini or meat and saffron risotto. Wine is what the Italian Lakes do best and some of the finest can be found at Cantina Avanzi, a family business with 90 years, 130 acres of land and 11 excellent wine varieties to their name. Take a tour of the winery and underground tunnels before trying out the estate’s award-winning vinos. Master the art of Italian cooking with Gusto Italiano Bellagio, where a local cook will take you ingredient shopping and then open up their kitchen to teach the basics of making pasta, pasta sauces and Italian desserts. You can tour the winery, cellar and vineyards at the Zeni wine estate, but the real draw for wine buffs is its petite wine museum, which offers an insight into both historical and modern-day winemaking processes. 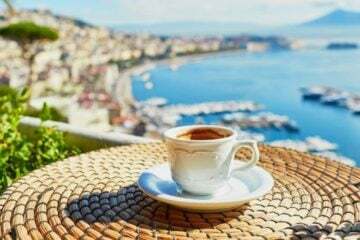 For more mouth-watering inspiration, read our blog post on the best foodie experiences in the Italian Lakes.